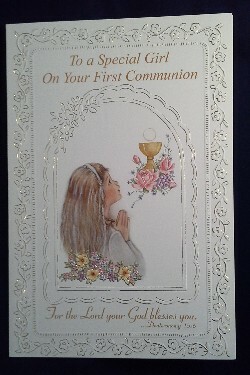 Message inside: May it bring you joy to know God is with you all the way. And as you say your prayer today may He look down and see a young Girl who loves Him very much and services Him faithfully. Congratulations. 4 1/2 in. x 6 1/2 in.